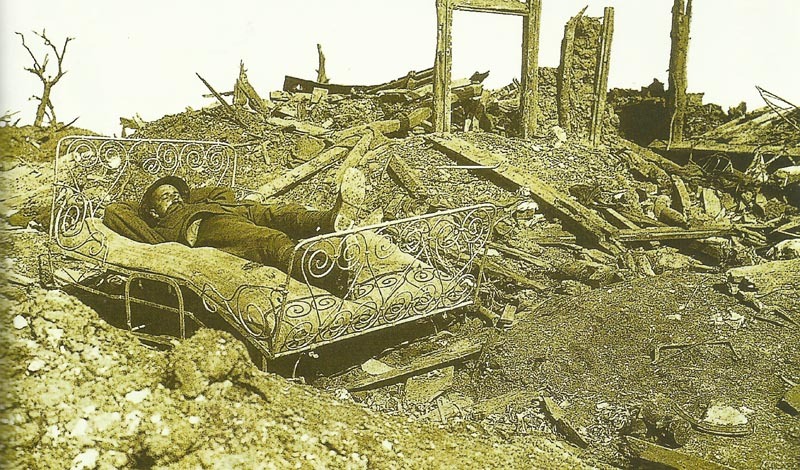 This British soldier has been found in the wreckage of the battlefield a bed and takes a break. Battle of the Somme: Battle of Flers­-Courcelette ends. British advance east of Courcelette on fine sunny day. Robertson and Rawlinson take tea; GIGS intimates that Lloyd George concerned about casualties toll and Haig’s direction of battle. Arabia: Ghalib Pasha’s 2,000-Turk Taif garrison surrenders to Abdulla.